* Hey pasta lovers, has the Tampa Convention Center got a deal for you! If you attend Tampa Bay Meetings or just have access to the Convention Center Tampa in downtown and just can’t get enough pasta, then make sure you are at the Convention Center Tampa today (11/09) and again on Tuesday, November 17th for the United Way Pasta Luncheon. This is an “all you can eat” event. For only $6.00 you can have as much pasta as you want and know that those carbs are going to a great cause. Click here for more information. * Mayor Iorio invites you to join her at Cotanchobee/Fort Brooke Park on Tuesday (11/10) at 10:00 a.m. for an event that will honor our armed forces. This should make the Tampa Florida News and for details, click here. * Veterans Day will be celebrated in downtown on Tuesday (11/10) in Joe Chillura Courthouse Square. Get details about this important event by clicking here. * "Aurora Borealis III", Blake&apos;s Fine Arts Open House, will take place on November 17th from 6-8 p.m. The marching band will kick off the event at 6 p.m. sharp. This magical torch-lit event will feature strolling performers and musicians in the courtyard as well as choreographed performances on stage by harpists, actors, guitarist, singers and dancers. Journalism and creative writing students will showcase their talent through the spoken word and live broadcasts. Bronzed dancers will be positioned on pedestals as living statues in the courtyard. Video and visual art imagery will be projected on the outside of the building. The gallery and visual art studios will be open to showcase student talent with demonstrations in stained glass, jewelry, photography, printmaking and ceramics. The Fine Arts Faculty will be present in the theatre lobby to answer questions about the individual magnet programs. The Urban Teaching Academy will be available to answer questions. Prospective students and their parents are welcome. The event is free and open to the public! The school is located at 1701 North Boulevard in downtown Tampa. Come to "Aurora Borealis III" and enjoy all of the offerings that this downtown magnet school has to offer! Ah, the holidays in Tampa Bay! * Come experience the innocence and charm of a Victorian Christmas. Escape the commercialism and stress of a modern Christmas and capture the warmth and joy of an old-fashioned holiday with your loved ones. The Henry B. Plant Museum presents the 28th annual Victorian Christmas Stroll from December 1st to 23rd, 10:00 am to 8:00 pm daily. * "Light Up the Night with the Downtown Tampa Florida Attractions Association’s Holiday Lighted Boat Parades on Friday, December 4th and Friday, December 18th. Parades will begin at 6:30 PM. Come watch these festively decorated boats illuminate the sky and spread holiday cheer throughout Downtown’s Channel District. The Rough Riders will be accepting Teddy Bear donations during the parade and will be the boat to beat as they light up one of their best floats in honor of this holiday tradition! 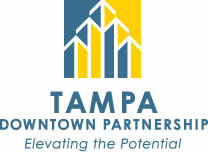 The Tampa Downtown Partnership serves as the steward of downtown Tampa, cultivating public and private partnerships, and encouraging downtown’s physical and economic development. As a proactive leadership organization, we act as an advocate for the downtown community. The Tampa Downtown Partnership fosters Tampa’s vibrant and diverse multi-use downtown neighborhoods and plays a key role in creating a 24-hour urban center where people can learn, live, work and play. Programs such as our Clean and Safe team and our transportation initiatives make accessing and navigating Tampa&apos;s downtown an easy and enjoyable experience. 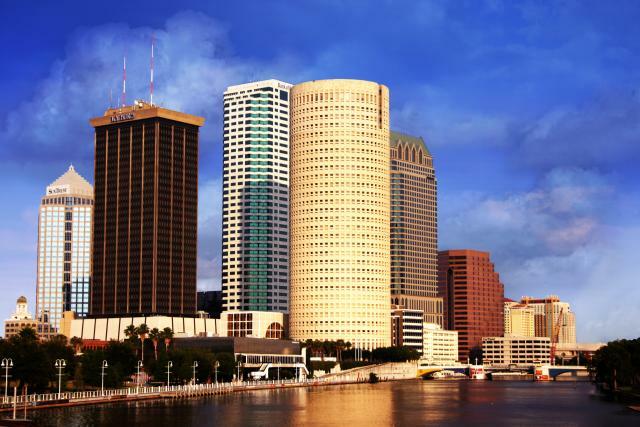 As a membership organization, we are driven to serve the Tampa downtown business community and are empowered by what each member brings to our organization. Together, we strive to improve the collective downtown Tampa community, to be an active conduit of information and resources, to promote a shared vision for Tampa’s downtown, and create and implement the plans that support that vision.